This was a show that surpassed expectations in ways that I could not have fathomed. 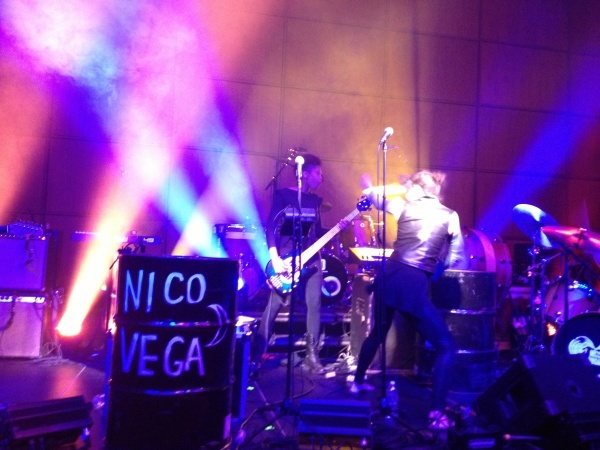 This was a show that introduced Penn State to the gritty yet glamorous, hard-rocking band that is Nico Vega. More than anything, this was a show that introduced Penn State to an entirely new, vulnerable, and raw side to the top 40 indie pop princes that are Imagine Dragons. Next, Nico Vega leapt into tracks from their newest release, the Fury Oh Fury EP. 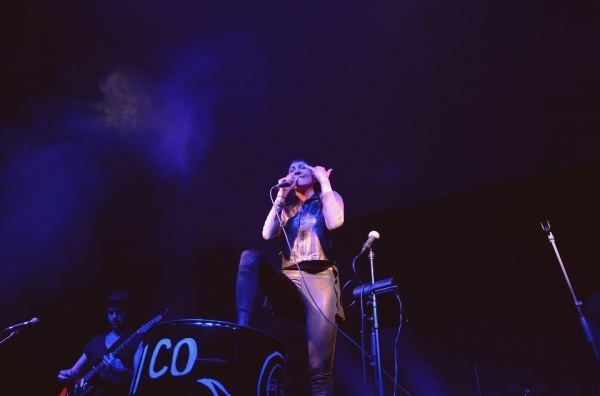 Each track off the EP is an off-kilter but equally pleasurable mix of grunge rock and 80s-styled pop, and that style was depicted beautifully during Nico Vega’s live performance. One of the standout moments was when Volkman leapt onto a large drum can with the band’s name and began to hammer out a heart-thudding drumbeat. A few other members of the band joined in as well, creating a cataclysmic and eargasmic mass of percussion. Those who weren’t familiar with Nico Vega (such as myself) certainly left the show with a solid appreciation for the band. After a brief interlude, the lights dimmed and a sea of cricket chirps blanketed the room. 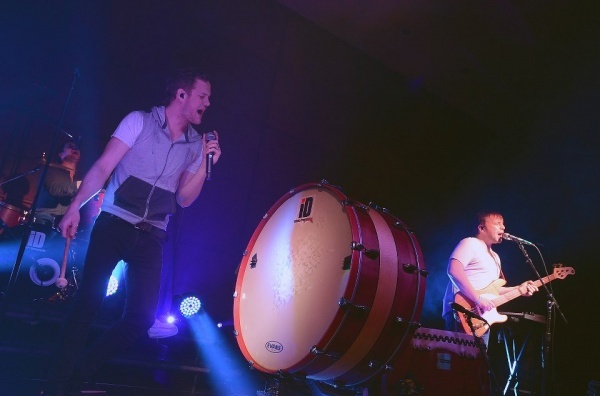 The sounds combined with a spattering of bright lights and drums, and Imagine Dragons took the stage. They started their set with a rip-roaring performance of “Round and Round,” and from there the show completely took off. With each performance, Imagine Dragons captivated the audience more and more, and nobody shined brighter than vocalist Dan Reynolds. His humility and honesty had the crowd grinning from ear to ear, and he had no problems baring his soul to his audience. Spurts of musical splendor glittered between songs, as hazy guitars and stirring drums set the stage for the next Imagine Dragons track. “Tiptoe” sounded as upbeat as ever, as the purring synthesizers mixed well with Imagine Dragons fist pumping chorus. The four musicians cut through one particular interlude and harmonized beautifully before diving into “Rocks,” which is the second part of their track “Nothing Left To Say.” Even when tracks such as “Demons” sounded sparse compared to their studio versions, the skeletal live sound further drove home the burdened lyrics. I found myself more and more impressed with each song they performed, but there was one in particular I was looking for. And then it came. 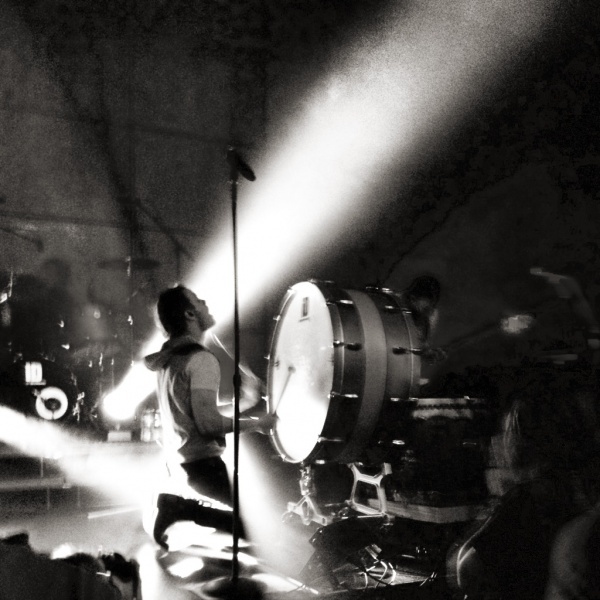 With a foggy, ambient rock entrance, Imagine Dragons catapulted into their hit “Radioactive.” The alternative dubstep track is one of my favorites off of Night Visions, and I had been dreaming of this moment ever since I heard they were coming to Penn State. 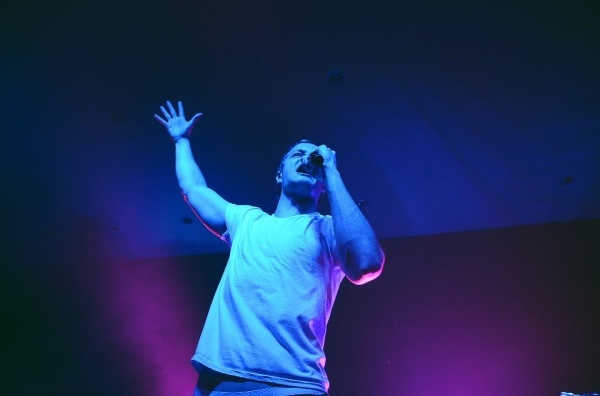 The entire crowd surged as Dan Reynolds leapt to the front of the stage, calling us all to arms with the guttural synthesizers and revolutionary lyrics. But what hit me the hardest was the bridge, where Imagine Dragons took the to the drums, pounding out a tribal ode to war as violins sliced through the static-charged air. The final chorus literally soared across Alumni Hall, as the audience belted out each word with fierce vivacity. And with that, “Radioactive” became more of an uplifting battle cry than it had ever been before. After “Radioactive,” Imagine Dragons added to the energy by performing optimistic tracks such as “Underdog” and “On Top Of The World.” “On Top Of The World” was featured in the THON 2013 promo, so it had a good deal of the crowd jumping and singing, despite not being a radio-played single. 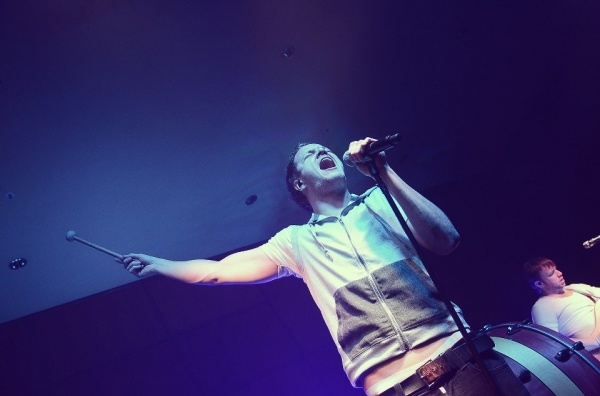 Reynolds thanked the audience for their support, saying that the band has had “a long four years.” Then with a mandolin and some well-placed handclaps, they began their breakout smash “It’s Time.” This was a guaranteed crowd-pleaser, and though everyone had high expectations, it was once again vocalist Dan Reynolds who brought the roof down. He completely lost himself in the track, and in that moment the audience saw not just a vocalist for a band, but a man who was watching his wildest dreams unfold in front of him. Indeed, when he leapt on to the barriers, opening his arms as the crowd belted the chorus back to him, the stage lights silhouetting his frame, you saw a boy who had fantasized of becoming a rock star, and you saw him swept away in that moment. It was powerful and emotional, but more specifically, it was sweet and intimate. These are pop artists who believe in their music, and who (despite their volcanic explosion of fame) are staying wonderfully humble and in awe of it all. Another HUGE shout out to the Student Programming Association and the Lion Ambassadors for bringing Imagine Dragons and Nico Vega for the Founder’s Day 2013 concert. When I wrote this pre-concert review, I said that the show would further sound track our college careers. What I didn’t realize was that the show would also be an inspirational push, one to follow your dreams, and to love every second of what you do. Always look ahead, and never look back.